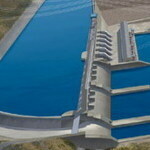 Site C’s “Big Dam/Big Lake” design promises irrevocable damage but might go ahead. Is the civil engineering Code of Ethics a root cause for this wicked dilemma? 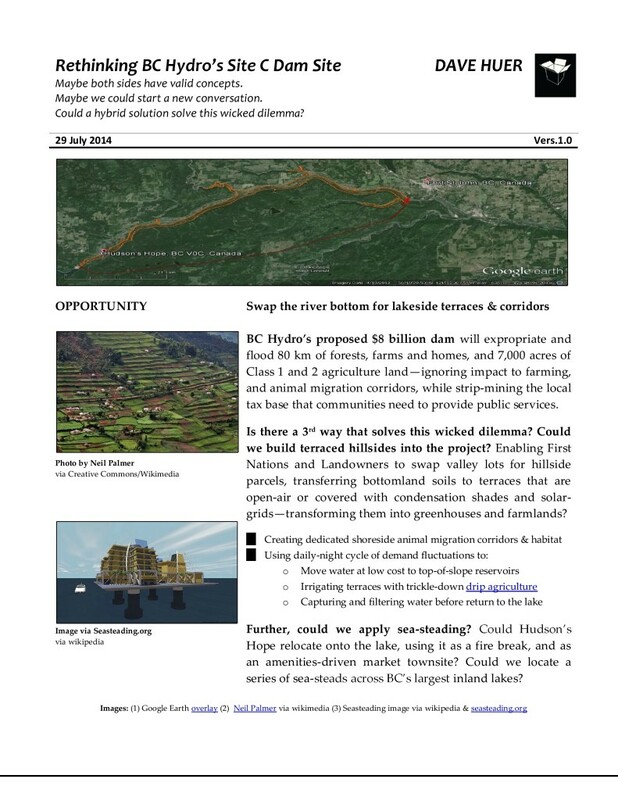 BC Hydro’s proposed $8 billion dam will expropriate and flood 80 km of forests, farms and homes, and 7,000 acres of Class 1 and 2 agriculture land—ignoring impact to farming, and animal migration corridors, while strip-mining the local tax base that communities need to provide public services. Could a new conversation solve this wicked dilemma? 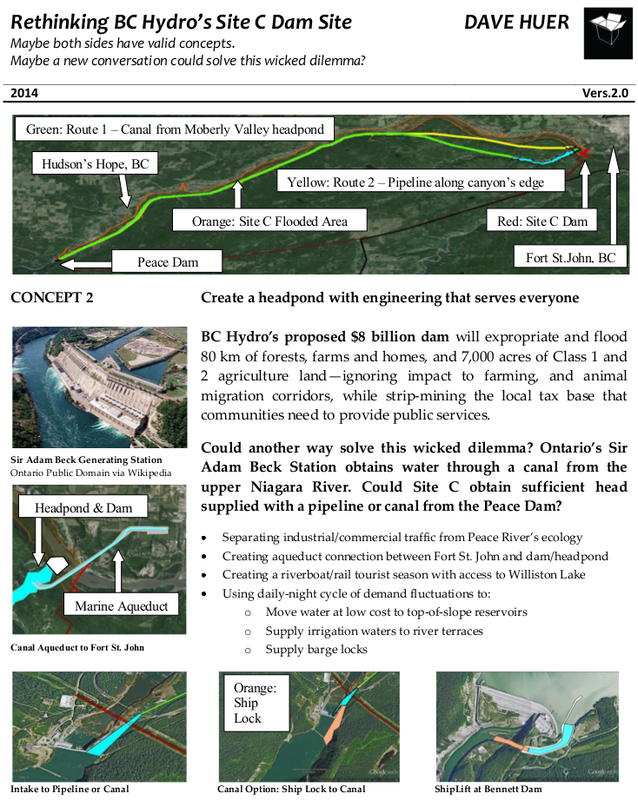 BC Hydro is chock-full of iron-ringed civil engineers who pride themselves on being able to create a great solution. Could we challenge them to find new thinking and the latest technologies to build a better solution? 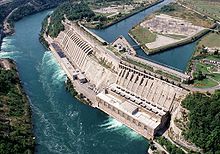 And then to ask…if BC Hydro can get equivalent power value with a sustainable solution, but refuses to change the existing Site C plan, are civil engineers being required to focus on a Big Dam solution vs. a Sustainable Energy solution (energy in all its forms)? Should BC Hydro become BC Energy? And can we require all Crown Corporations to follow the C3 framework? Can we find the same all-Party courage to reflect these new responsibilities – with an upgraded APEG Code of Ethics for C3 Corporations? 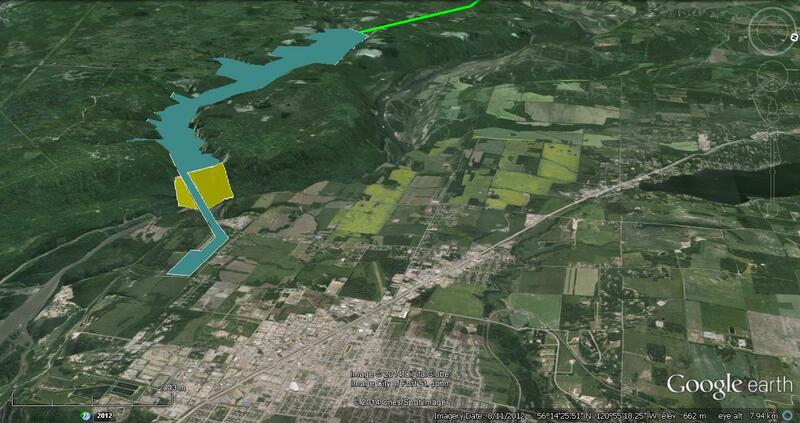 For example, using the C3 Code of Ethics option, could one option be a revised Site C in the Moberly River side valley? Are there better civil engineering solutions? Ontario’s Sir Adam Beck Station obtains water through a canal from the upper Niagara River. 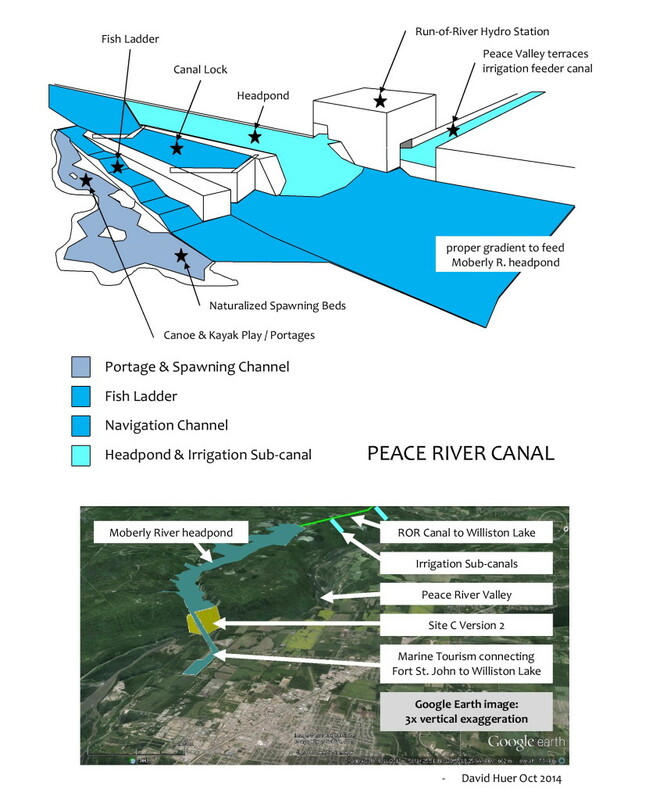 Could Site C obtain sufficient head supplied with a pipeline or canal from the Peace Dam to a Moberly River head-pond? 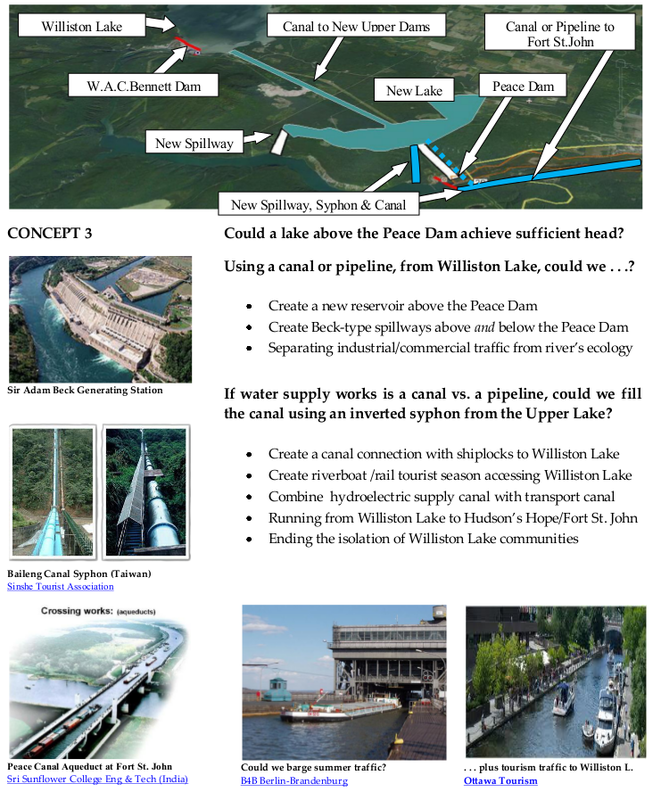 Or do we need Site C, if it makes more ecological sense to obtain the same hydro-electric production . . . by building a reservoir in the headland depressions east of Williston Lake’s W.A.C. Bennett Dam; with hydroelectric spillways falling to the Peace River above and below the lower Peace Dam?